The device, introduced at a splashy launch event this week, can call for help after a fall. It can monitor heartbeats for dangerous conditions. And it can even do an electrocardiogram, a test that monitors for a common abnormal heart rhythm and is usually done by a doctor. For the iPhone maker, it’s the boldest foray so far into personal health. Apple has already pushed the use of its mobile devices for health tracking and medical research, and recently added a feature that can connect to some hospital medical-records systems. With iPhones and other mobile devices in the hands of more people than ever, the stakes couldn’t be higher. Tech giants such as Apple, Amazon.com, Microsoft and Google have to figure out, now that they are among the biggest companies in the world with some of the world’s most ubiquitous brands, how to get even bigger. The business of keeping people well is a logical frontier. Health care accounts for about 18% of US economic output and still often relies on antiquated tools like fax machines, making it an enticing opening for tech behemoths looking for new terrain to conquer. Already, the companies are in deep. 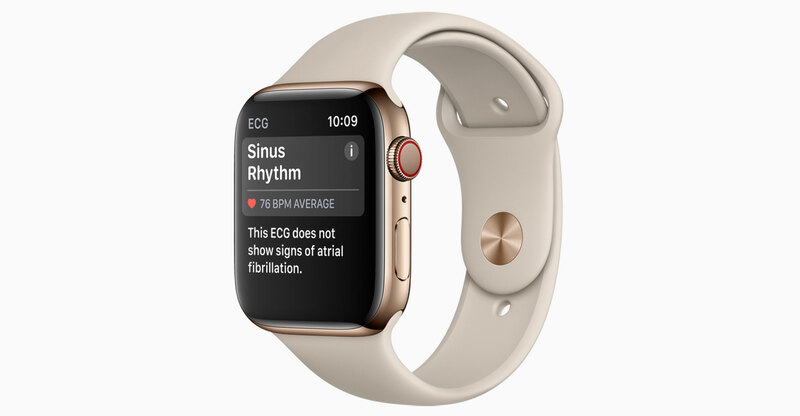 Apple is tracking vital signs. Amazon bought its way into the pharmacy business while joining with two powerful partners to remake worker health coverage. Google parent Alphabet wants to help make you live longer. There are reasons for scepticism. Apple’s new pulse-monitoring tools could trigger false positives and panics, some analysts worry. Amazon and its partners hired a famous surgeon CEO for their worker health plan, but building it out could take years. Amazon has its tentacles everywhere. It’s working on the employee-health venture with JPMorgan Chase & Co and Warren Buffett’s Berkshire Hathaway. Earlier this year, it paid US$1-billion for online pharmacy PillPack after months of speculation about its plans to shake up the prescription drug business. Meanwhile, hospitals, doctors and dentists’ offices have helped propel Amazon Business to $10-billion in annual sales. The unit sells everything from latex gloves and patient bed liners to specialised dental tools and medical devices. Customers include more than half of the 100 biggest hospital networks in the country, the company said on Wednesday. Amazon Web Services, the cloud-computing division, offers tools that can be used to move from paper to electronic medical records and help genomics researchers store and analyze vast amounts of data. Cloud computing lets customers ramp up processing power for trials and modeling only when they need it, allowing them to conduct tests more cost effectively. Google’s parent company made a $375-million investment in the health-insurance start-up Oscar Health this year. Alphabet has two distinct health-focused companies that are big and established enough to have their own CEOs (though just how big isn’t clear, as Alphabet doesn’t report their revenue). One, called Calico, has a team of biologists, doctors and drug developers that are focused on understanding the process of ageing, with the very Silicon Valley goal of extending life spans. The second, Verily, is working on new ways to collect and use health data, such as a contact lens that monitors glucose levels. DeepMind, Google’s main artificial intelligence company, also has a significant health-care division. Additionally, Google has special cloud storage, e-mail and file-sharing products that are HIPAA-compliant. Google Fit is a suite of tools for Android phones that developers can use to build health-tracking apps, just like Apple Health. And don’t forget the core search product. The company has been working to improve “Dr Google” ever since people typed “what does a heart attack feel like?” into their browsers. Google now has a special team of doctors who help make sure results for common questions offer accurate information. After Microsoft axed a fitness band and sold an earlier health software group to General Electric, the software giant is trying to sell hospitals, drug makers and doctors software, cloud processing and artificial intelligence services for more personalised medical care. The company has demonstrated speech- and language-recognition software for a “triage bot” and unveiled tools for monitoring whether a patient sticks with a treatment plan that work with rivals’ fitness trackers. Microsoft’s Azure cloud computing service is working with St Jude Children’s Research Hospital to harness the processing muscle of the cloud for computing-intensive genetic analysis. Microsoft’s research labs are also looking into how to use machine learning to better target cancer therapies and to detect cancers or other potentially fatal medical conditions earlier. Ride-hailing unicorns Uber Technologies and Lyft are also seeking a slice of the health-care pie. The companies say being able to summon a car for patients makes them more likely to show up for appointments.